Mio defeats Hillman improving to (13-3) overall. 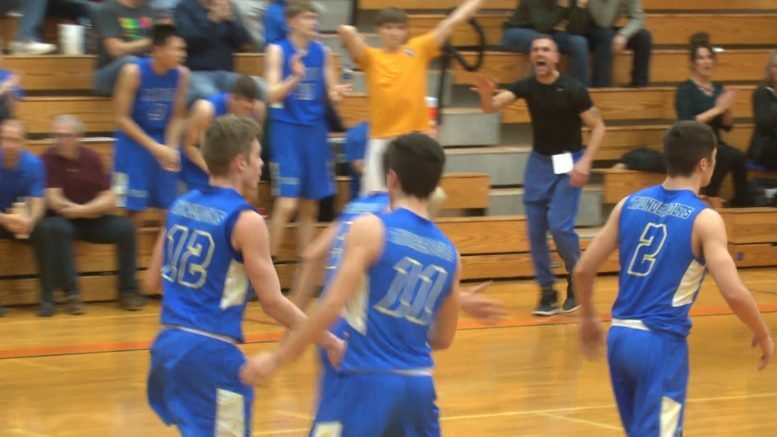 HILLMAN, MICH. — The Mio Thunderbolts hold a solid second place spot in the North Star League-Big Dipper behind undefeated Oscoda, and they looked to keep it that way on Wednesday on the road against the Hillman Tigers. Senior Kory Henigan put up good numbers for the Tigers, especially in the second quarter knocking down four field-goals and one free-throw for nine of the 15 Hillman points. Mio countered with three 3-pointers between Brennon Mills, Brendan DeFlorio and Drew Hess. The Thunderbolts led at halftime 31-24. Later in the third, Mio sophomore Drew Hess went off dropping three 3-pointers plus a bucket for 11 points. Add a Mills triple in the fourth, and Mio outscored Hillman 24-3 on 3-pointers alone. The Thunderbolts struck the Tigers 62-35 improving to (13-3) overall and (9-2) in the Big Dipper. Up next, Mio hosts Alcona on Friday.